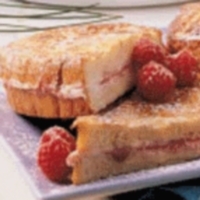 This Stuffed French Toast recipe is a fun way to start out your day. This recipe is a simplified version of a stuffed French Toast. Instead of using the oven, or thicker breads, this breakfast recipe uses the traditional method of dunking the bread into the egg mixture. Instead of just dipping one slice, you will dip two slices together with the stuffing in between. So there is no need to heat up the oven for these, just grab your non-stick pan and follow the directions below. Kids and adults alike this breakfast idea with the sweetness from the preserves and the creaminess of the cream cheese. 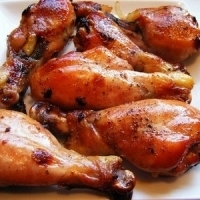 It takes only 15 minutes to prepare and cook, so they can even be made during the weekdays. You will find a list of ingredients, directions, nutrition and the Weight Watchers Points for this breakfast recipe below. Lightly cover flat non-stick pan with cooking spray. Preheat pan over medium heat. On 4 slices of bread, spread 1 oz cream cheese. 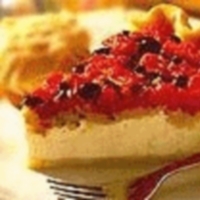 Spread 2 tablespoon of sugar free raspberry preserve on top of the cream cheese. Place other 4 slices of bread on top (to make a sandwich). Beat eggs, milk and cinnamon together with a whisk in medium sized bowl. Dip each sandwich in the egg mixture on both sides. Place on the pan and cook until golden brown on that side. Flip the stuffed French Toast and cook the other side until golden brown. The nutrition facts for this stuffed French toast recipe shown below are per serving. The number of serving is noted in the header section below. The serving size is the first item noted on the nutrition facts table. The eggs are not included in the Freestyle SmartPoints calculation. If you want, you can butter these and spread a bit more preserve on top or lightly cover with maple syrup. 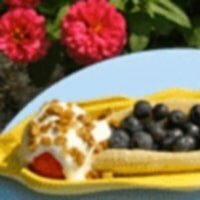 In addition to this breakfast recipe try this fruity banana split idea. Here's a stuffed French toast recipe that uses peanut butter and bananas. Sounds so yummy! 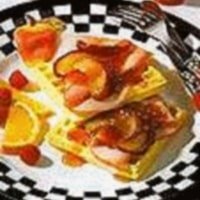 With the sweetness of the waffle, some juicy fruits and ham, it puts a morning twist to a club sandwich. This recipe is topped with tomatoes and olives with the taste of basil it gives you a tasty twist to a typical quiche. Banana Split for Breakfast? You can with this recipe that uses fruit instead of ice cream. Fish is full of so many healthy benefits. 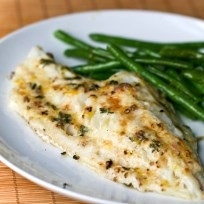 So try this fish recipe tonight. 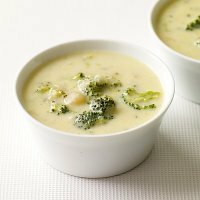 Pair this soup with your main dish for lots of creamy goodness that will warm up your taste buds. Check out these appetizer recipes for your next meal or party. You can get a taste of Italy, go spicy with Mexican or other flavors with these appetizer ideas. Do you know what a proper portion size looks like? Read this article to learn more. Break past those weight loss plateaus with these helpful tips.